Using this circuit, we can charge 4 volt lead acid battery with the current ranging from 2Ah to 10Ah using appropriate transformer or SMPS. With necessary modification, we can use this circuit to charge 6v,12v or 24v batterries too! The circuit published here is meant for charging a 4v, 4.5 or 5Ah lead acid battery. AC voltage from a 9v stepdown transformer is rectified using the bridge rectifier(BR). LED1 indicates the mains charging and the current flowing through it is limited through resistor R7. C acts as a filter capacitor. Rectified output is fed to the voltage regulator(U1) through diode D3. The Ic U2 is the heart of this circuit. It is a low power dual op amp ic. Zener diodes D1 and D2 acts as the reference voltage. 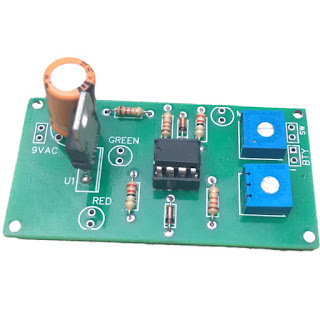 In order to make adjustments, connect a variable DC power supply in the place of the battery and set it to 4.5v. Now adjust the preset R1 until the LED2 lights up. Then set the variable DC power supply to 3 volt and adjust the preset R3 until the LED3 lights up. Now connect a 4v battery by replacing the DC power supply. Now the circuit is ready for use. The battery voltage do not go beyond 5v because of the voltage regulator thus protecting it from overcharge. 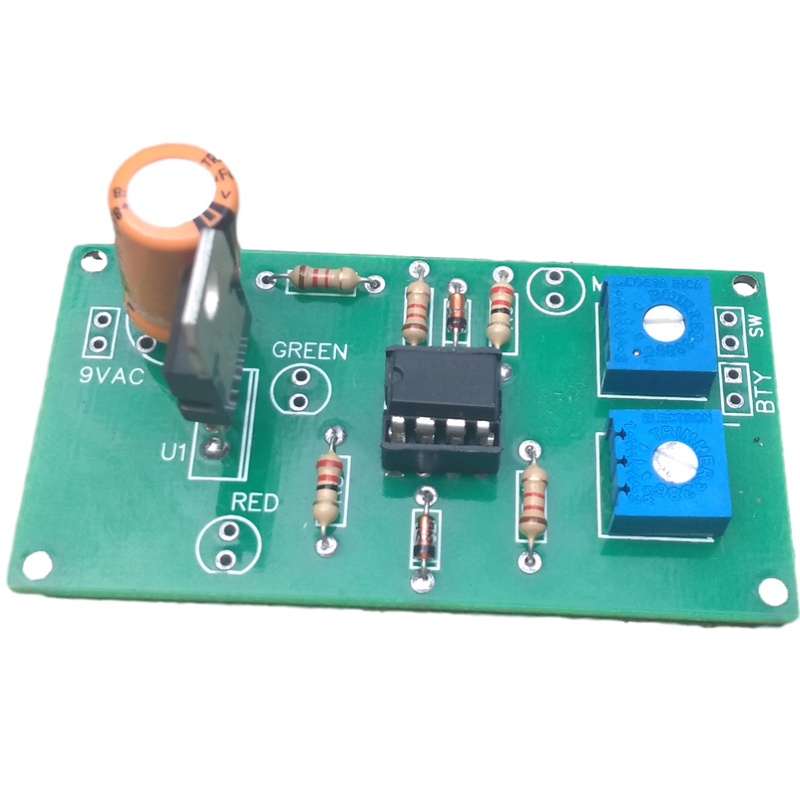 This circuit can be easily assembled on a general purpose PCB.